SBHI Kildare Branch invited all members age 12 & under, their parents & siblings to a fun family day out at Lullymore Heritage & Discovery Park, Rathangan on Sunday August 30th. A great day was had by all, check out the photos. This year the Irish Steam Owners Association are driving 20+ Steam Engines from Naas to Cork, leaving Naas on Saturday May 23rd at 11am. Their chosen charity for 2015 is Spina Bifida Hydrocephalus Ireland and going on past experience of this event, it has the potential to be our biggest fundraiser of 2015. 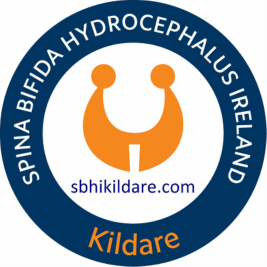 Apart from the financial benefit of such an event, it is more about promoting Spina Bifida Hydrocephalus Ireland and what the organisation does for its members both locally and nationally. In order for us to get the most out of this event, we need the help of all our branches and members nationwide. To this end we urge you to promote the event through your websites, Facebook pages and any other social media outlets that you may have. . If you are a member that lives close to the route of the run we would appreciate if you could encourage your family and friends to come out and support the guys as they make their way south.